Every day is an adventure! 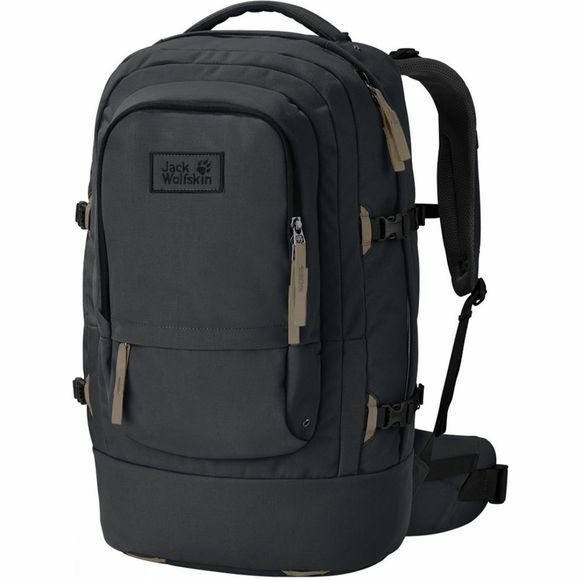 With 40 litres capacity, the Railrider 40 Rucksack is the ideal size for short trips. Take it to the forest, the mountains or the big, bad city–this pack is game for anything. With five pockets and compartments you can stow your gear neatly so it's easy to find. The pack also comes with a couple of extra lashing straps, which you can use to compress the pack if you need to, or to attach your camping mat. The Snuggle Up back system, with its wide shoulder straps and waist belt, distributes the weight comfortably and evenly. Like all the packs and bags in the Frontier series, the Railrider 40 Rucksack is inspired by the hobo lifestyle. These North American itinerant workers travelled across the country–often on freight trains–scraping a living from casual jobs. Their luggage had to be tough and was often cleverly designed and customised to suit these travellers' needs. We have incorporated these ideas into the bags and packs in the series.